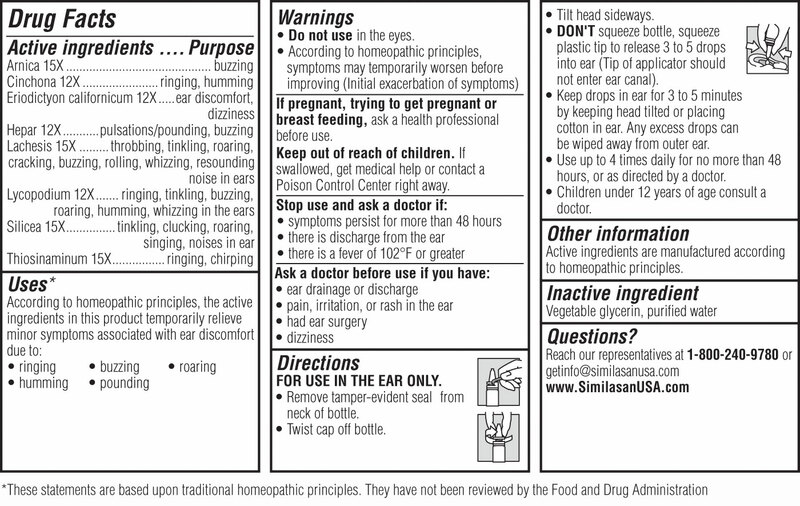 A: The recommended dose is 3-5 drops per ear as needed. Keep drops in ear for 3-5 minutes. Continue use until symptoms diminish, up to 4 times daily for up to 48 hours, or as directed by a doctor.